Other than politics and religion, nutrition is one of the most divisive areas of debate. I’ve dedicated my life’s work to finding and telling truth about what makes us sick and fat, and most importantly, to the study of food as medicine and to the science of creating health. About ten years ago, I started to dig into the research about dietary fats. More and more studies documented the benefits of this once vilified nutrient. In the process of unbiasedly sifting through the research and digging deeper, I was forced to question everything I thought I knew about fat. I long viewed fat as the enemy responsible for obesity and disease, especially heart disease. But mounting evidence now makes it clear that in the absence of refined sugars and processed carbohydrates and starches, healthy fats shut down cravings, accelerate weight loss and can help prevent and reverse disease. My book Eat Fat, Get Thin presents the case for eating dietary fats based on the latest research, my clinical experience and the remarkable results of thousands of people who have followed the approach in Eat Fat, Get Thin. The response to this book has been overwhelmingly supportive. The vast majority of my peers have enthusiastically rallied behind my central message that fat is not the enemy; sugar and starchy or refined carbs and a high-glycemic, processed food diet are the real causes of weight gain, heart disease and Type 2 diabetes. Even with all the support and success of my program, I knew my findings on dietary fat would be challenged by low-fat advocates. I was recently attacked by a small group of my peers because of my promotion of the beneficial role of fat in the diet, my challenge to the dogma that saturated fats are all bad and that meat is not the enemy we once thought. I expected and am grateful for this response; it provides the opportunity for deeper discussion and clarification. Science is always elevated by honest debate. Before I do a deep dive into what I got right in my book, and what I want to clarify, I want to cover a few high level points about my central message in Eat Fat, Get Thin. Saturated Fat: Saturated fat is not linked to heart disease in the absence of refined (starchy) carbs and sugar, and in the presence of omega 3 fats. And review after review after independent review of the research shows that there seems to be no link between saturated fats and heart disease. In fact, a recent large review of the research found that the higher the saturated fat intake, the lower the risk of stroke. Butter: Is butter a health food? Probably not. Should it be shunned? For sure not. The review of the literature is included in my book. This is not my opinion but a growing consensus among a large group of leading scientists. Pegan Diet: The Pegan diet (see below) is what I recommend my patients and my readers follow for long-term health. A Pegan Diet, a term which I first coined as a parody of extreme diets, takes the best qualities from a vegan diet and combines them with the best qualities from a paleo diet. It focuses on fresh, ideally organic, low-glycemic, mostly plant-based foods. If animal products are consumed, they should be sustainably raised, grass-fed and treated as a condiment or “condi-meat.” The right fats work best when combined with a Pegan Diet. All studies are not created equal and good scientists often come to polar opposite conclusions, making it difficult for the average person to make sense of it all. Better studies in the space of nutrition will certainly help. I’m honored that I have been asked to lead a large initiative at Cleveland Clinic where we are conducting many randomized clinical trials on nutrition, Functional Medicine and chronic disease, and building a program to establish a new way to address chronic disease by using food as medicine. Yes we need more research, but we have enough data now to understand the role of diet in health. I’ve reviewed this research in my book, particularly the data on low-fat vs. high-fat approaches to weight loss, heart disease and chronic illness. In this blog I dig into the controversies on fat. I apologize in advance for the length, but the truth is often not simple or obvious, and the flaws in the low-fat dogma demand a detailed review. Dr. Dean Ornish has been a proponent of the diet-heart hypothesis that all saturated fats are the cause of heart disease. He has been a passionate advocate of lifestyle changes that prevent and reverse chronic disease and his advocacy has, without question, profoundly and beneficially impacted many lives. Dr. Ornish’s lifestyle medicine approach has been a major pioneer in the field of lifestyle as treatment for chronic disease. 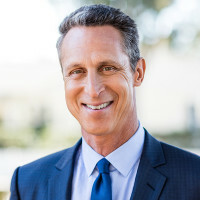 His Preventive Medicine Research Institute has done extensive and impressive research on low-fat, plant-based diets, along with lifestyle interventions for heart-disease and prostate cancer reversal, and the lengthening of telomeres (the ends of our chromosomes), which typically shorten as we age and are linked to many diseases. Clearly, eating whole-foods, plant-based diet combined with exercise, stress reduction, smoking cessation and the healthy support of a community promotes good health and can reverse disease, particularly when compared with the Standard American Diet. In Dr. Ornish’s 1998 randomized controlled heart disease study of 48 patients (only 35 of whom finished the study), he found improvements in weight and some indicators of improvement in cardiac health as a result of comprehensive lifestyle change which also included smoking cessation, exercise, community support, stress reduction, and an extremely low-fat vegetarian diet. There was an improvement in blood flow through the arteries. In the treatment group there was half the number of heart attacks (but twice as many deaths) as the control group. In my 2016 book Eat Fat Get Thin, I erroneously quoted some of his data. I compared the experimental and control groups at the end of the study assuming they were matched in their characteristics at the beginning of the study (creating a baseline), as is the usual standard in randomized controlled trials. That was my error. I didn’t notice that the control and experimental groups were widely different at the outset of the study. I failed to notice that the experimental group was overweight at the start, whereas the control group weighed much less. This makes showing weight loss in the control group much more difficult and not a fair comparison. Upon further review, I found the experimental group weighed an average of 34.4 pounds more than the control group (201 pounds vs. 166.6 pounds) at the start of the study. Clearly it is much easier to show weight loss with any diet change in a group that is overweight compared to a normal weight group. That is why I reported that the experimental (low-fat) group gained an average of seven pounds. I compared the results of the two groups at the end of the study, not from baseline (because I incorrectly assumed that the two groups weighed the same at the start of the study). That was my error. It was actually the control group that gained 3.1 pounds and the experimental low-fat group lost 24 pounds during the first year (dropping from 201 to 177 pounds) and maintained a 13-pound weight loss after five years (188 pounds). Lastly, I made an error in reporting the numbers related to the cardiac lipid markers. The trends that I reported were correct, but the numeric changes were incorrect because, again, I compared the experimental and control groups at the end of the study only. Specifically, I compared the changes in HDL and triglyceride levels. The experimental and control groups are usually compared at the baseline of the study to ensure more accurate comparisons, that is what is meant my a “randomized matched controlled study”. 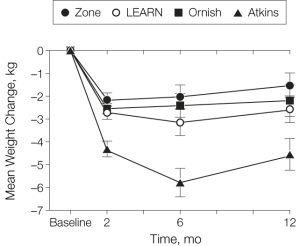 In Dr. Ornish’s study they were not matched at baseline. The actual changes, when compared from baseline data showed the experimental group’s total cholesterol went from 244 to 162, LDL (bad cholesterol) decreased from 143 to 86, triglycerides went up from 227 to 258 and HDL (good cholesterol) went down from 40 to 36 (total and LDL went in the right direction, while triglycerides and HDL went in the wrong direction). In fact, after the first year, a number of patients in the experimental group had an increase in triglycerides, and the authors reported that they instructed them to reduce their simple carbohydrate intake because carbohydrates lower HDL and tend to raise triglyceride levels. Yes, in the Ornish study, total cholesterol and LDL-C went down significantly. 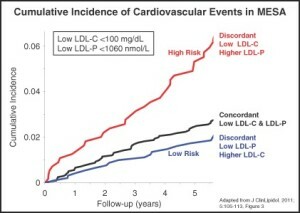 However, total (and especially LDL-C) is NOT the best predictor of heart disease risk. LDL-C is the typical cholesterol that is measured in milligrams per deciliter of blood (mg/dl). This is the weight of the LDL, but it could be composed of many small, dense, and dangerous heart disease causing particles, or it could be composed of a few large, light, fluffy, and benign particles. What matters is the LDL-P or particle number and size, not the total or LDL-C cholesterol. See figure below. It is the total cholesterol to HDL ratio, and the LDL particle number and size that are the most predictive of heart disease. In fact, small LDL particles are associated with three times the risk of heart attacks. Evidence suggests the biggest of cardiac disease is the triglyceride to HDL ratio, not total cholesterol or LDL cholesterol. In Dr. Ornish’s study, the ratio of triglyceride to HDL worsened after the intervention in diet from 5.68 to 7.11. A recent analysis of the genetics of triglycerides and heart disease confirmed that high triglycerides are an independent risk factor for heart disease. 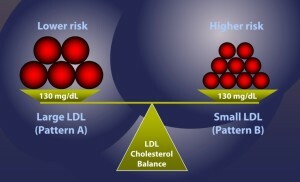 The type of cholesterol pattern is most important, not the total LDL-C number. When triglycerides go up and HDL goes down, this signifies a more atherogenic lipid profile (heart disease causing) associated with small LDL and more LDL particles (LDL-P). It is inflammation and the oxidation of small LDL particles that are the problem, all of which are caused by a high-carb and sugar diet, not consuming saturated fats. Saturated fat increases LDL particle size while lowering triglycerides and raising HDL cholesterol. A low-fat, high-carb diet makes the cholesterol quality worse leading to smaller and more abundant LDL particles. In fact, in one of the biggest and most accurate studies on lowering LDL cholesterol with statins, there was no benefit (in reduction of heart attacks or deaths) to lowering LDL if overall inflammation (C-reactive protein) was not also lowered. Dr. Ornish reported improvements in blood flow via heart scans. However, this is another “soft end point” like cholesterol and doesn’t always lead to hard and direct outcomes such as death. What is more important than the diameter of arteries is the nature of the plaque that forms in them. It matters much more if the plaque is stable or unstable, diffuse or irregular, and studies show that significant plaque can actually be missed by traditional imaging techniques. In Dr. Ornish’s study, participants had 50 percent fewer heart attacks than the control group (2 vs. 4), but twice as many deaths (2 vs. 1). These are small numbers so hard to make sense of it. Our understanding of LDL is evolving and when all the data is considered, what seems worse is not a high total LDL, but many small LDL particles. In fact, the highest risk of heart attacks are with the folks who have the lowest LDL-C (the usual way to test cholesterol), but the highest number of small LDL particles (LDL-P that is measured only by special tests called NMR or Cardio IQ). These small LDL particles are promoted by a low-fat, high-carb diet. See figure below. A large study reviewing the role of LDL in heart attack risk found that LDL was not well correlated with heart attack risk. The study reviewed 231,836 hospital admissions for heart attacks at 541 hospitals over six years. Lipid levels were measured for 59 percent of those heart attacks in the USA during those six years. Seventy-five percent had normal LDL (under 130mg/dl) and 50 percent had optimal levels (under 100 mg/dl) and 17 percent had levels under 70 mg/dl). Seems like elevated LDL-C was not correlated with heart attack risk. However, the study showed the real risk occurred in those with low HDL and high triglycerides (which goes along with small LDL particles). The average HDL was 39 mg/dl (ideal over 60 mg/dl), and average triglycerides 161mg/dl (ideal under 100 mg/dl). Fifty-four percent had HDL under 40 mg/dl, but only 10 percent had HDL levels over 60 mg/dl, which is optimal. Bottom line, low LDL C is common in heart attacks, but most heart attack patients have low HDL and high triglycerides which is almost always associated with a high number of small LDL particles (LDL-P). The science around fat and diet is confusing to sort through. My goal is to wade through all of the science to help make sense of it all. These numerical errors in my book added confusion and for this I am truly sorry. It was definitely not my intention to confuse and provide misinformation or to use studies that are misleading. I have made these corrections in the next editions of my book and the digital edition to reflect the true numbers. My apologies for leading to this confusion and for misreporting some of the data from Dr. Ornish’s work. That is all on me. However, the data is mounting to show that total fat in the diet and more importantly, saturated fat in the diet, are not linked to heart disease. This includes large randomized controlled studies such as the PREDIMED study in which at risk populations added 1 liter of olive oil a week, or 30 grams of nuts a day, showing larger reductions in heart attacks and deaths, as compared to the lower fat control group. In fact, the study had to be stopped because the ethics review committee determined it was unethical to not permit the control group to add extra fat; since the heart disease risk reduction was so significant. Some argue that the fat content in the low-fat control group was not low enough (39 to 37 percent dietary fat even though they were instructed to eat a lower fat diet), but the fact still remains that the higher fat group had better results. The facts were clear: adding more olive oil and nuts (fat) led to fewer heart attacks. It is important to recognize that while olive oil is mostly monounsaturated fat, it still contains 20 percent saturated fat. The real remaining question is how would a low-fat, plant-based, whole-foods diet compare in effectiveness to a high-quality, mostly plant based (Pegan) high-fat diet that included organic or grass-fed animal products—or even with a high-fat, high-quality, plant-based diet? That study has never been done so we can’t know for sure. 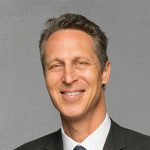 Dr. Ornish’s study took people who were eating the typical Standard American Diet with processed and nutrient-poor foods, and put them on a whole-foods, low-fat, plant-based diet while getting them to exercise, practice stress reduction, stop smoking and participate in group support activities – all of which have been shown to reduce the risk of heart disease. It’s a guaranteed combination that will improve anyone’s health. It doesn’t answer the question, though, of whether a low-fat, plant-based best diet is the absolute best for weight loss and disease prevention – primarily heart disease. The lack of connection between heart disease and total fat is not just my opinion. As noted the the 2015 USDA Dietary Guidelines Advisory Committee reviewed the research on fat and heart disease (and weight). The results of the review led the government to remove any limits on dietary fat and dietary cholesterol after 35 years of advice to the contrary. This is now official government policy. Fat and eggs are back because they have NOT been linked to heart disease or obesity. In fact, in most studies of low-fat vs. low-carb diets for weight loss, the low-carb, high-fat diet prevails. 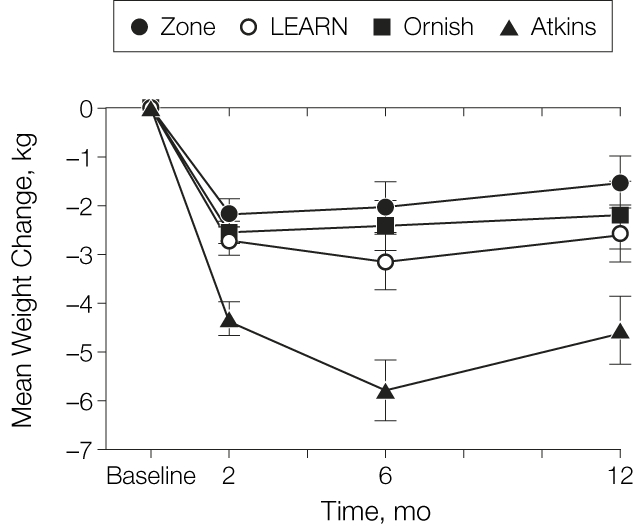 In the A TO Z Weight Loss Study comparing the Ornish and Atkins diets (low-fat vs. high-fat), researchers followed 311 premenopausal women for a year. The study reported that the group following the high-fat diet achieved the quickest, most dramatic weight loss and had greater improvements in cardiovascular risk factors. Some challenged the data in the A to Z trial, contending that 311 participants is not a large enough sample size. This small correction is not statistically significant, and the fact remains, that the high-fat diet led to greater weight loss than the other diet groups. The Atkins diet showed improvements in weight and body composition (a trend of almost twice as much loss of body fat as the Ornish diet). The Atkins diet also showed greater improvements in HDL, triglycerides, insulin, glucose and blood pressure. The trend for LDL-C was reduced more on the Ornish diet, but as noted, what matters more is the LDL particle number and size. 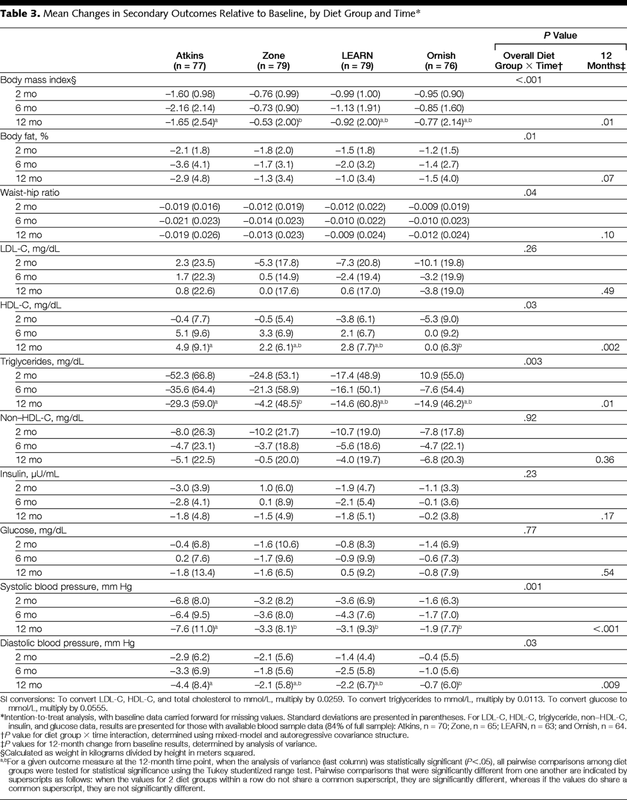 These get worse as triglycerides go up and HDL goes down, as they did for the Ornish diet in this study. Unlike the Ornish study, the characteristics (weight, cholesterol, etc.) at baseline for the A to Z participants were the same. You can see the results for yourself in Table 3 (below) from the study in the Journal of the American Medical Association. This trend of high-fat diets leading to greater weight loss and improvements in cardiovascular risk factors has been reported in many other studies. A recent review looked at 53 high-quality randomized controlled trials including 68,128 people, comparing low-fat to high-fat diets lasting a year or more (unlike the 6 day study noted below that showed low fat diets led to more weight loss). The high-fat diets led to greater weight loss than the low-fat diets. The researchers included only the best quality studies (53 out of a total of 3517). Some of the studies showed that when compared to the Standard American Diet (which is typically very bad all-around), a low-fat diet did lead to weight loss. But in the studies that compared high-fat, low-carbohydrate diets head to head with low-fat diets, the high-fat diets led to significantly greater weight loss. In the studies where there was a higher fat content in the diet, and where the triglycerides dropped the most, the weight loss was even greater. Triglycerides go up in a high-carb diet and down in a high-fat diet, so by looking at the triglycerides the researchers were able to tell how well the study subjects adhered to the high-fat, low-carb diets. Bottom line, in the best review of the research to date, head-to-head, high-fat, low-carb diets beat out low-fat diets for weight loss. Studies also show that higher carb, lower fat diets also may be linked to cancer and dementia. And, an increasing consensus of scientists recommend very low-carb, high-fat diets for treatment and reversal of type 2 diabetes. What About Metabolic Ward Studies that Show Greater Loss of Body Fat? It was a very short-duration study (only six days) conducted on only 19 people who were contained in a metabolic ward where all the food was provided, and the participants did not self-regulate based on hunger or appetite, so it was not based on a normal, everyday experience. It showed what happened in a vacuum, not in real life. The low-carb diet wasn’t low at all, with 29 percent of calories coming from carbs, including refined or processed starchy carbs. A true low-carb diet would have less than 10 percent of calories coming from carbs. The low-fat study was extremely low in fat; about 7 percent of calories, which is incredibly hard (and potentially dangerous) to sustain in real life. The low-carb group actually did show an increase in fat burning, which is a good thing. The low-fat group had a higher amount of body-fat loss, which also seems like a good thing, but it was such a short study; other studies show that it takes longer to adapt to a higher-fat diet. Other more realistic and longer-term studies comparing fat and carbs show that a higher-fat diet actually leads to more weight loss. A newer, larger and , longer-term (one year vs. six days) randomized controlled trial of low-carb, higher-fat diets is currently under way (at the time of this writing) called the CENTRAL trial. The preliminary data shows that the low-carb/higher-fat diet had major advantages over the low-fat diet. The high-fat diet improved body composition (more muscle, less fat). It also helped fix fatty liver and reduce dangerous belly or organ fat which are linked to many health problems and diseases. The study actually provided part of the food so the study participants stuck with the diet. Kevin Hall also told me that in his research (in another study), he found that the low-carb group burned 100 more calories a day than the low-fat group. This is consistent with other research that shows that high-fat diets lead to more calorie burning than low-fat diets. Dr. David Ludwig studied a high-fat diet (60 percent fat, 10 percent carbohydrates, 30 percent protein) compared to a low-fat diet (60 percent carbohydrates, 20 percent fat, and 20 percent protein). It was a randomized cross-over design (using the different diets in the same participants at different times), which makes it highly significant. He found that the high-fat group burned 300 more calories a day than the low-fat group. They both consumed exactly the same amount of calories; the main difference was whether the calories came from carbs or fat. Eating more fat led to a faster metabolism. 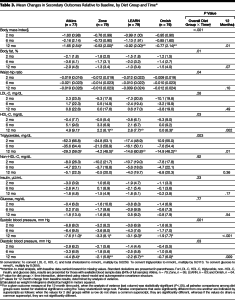 Yes, it can seem confusing, but overall, looking at all the evidence and real-life experience, it becomes very clear that in actual humans who are living in the real world (not as lab rats with their food intake completely controlled), lower-carb, higher-fat diets lead to greater satiety (feeling full), more weight loss and faster metabolism. What About Meat: Good or Bad for You? Some suggest from my Pegan Pyramid that I recommend a pound of meat a day. Clearly they have not read my book and have greatly misconstrued the graphic. I do NOT recommend a pound of meat every day, but rather 4-6 ounces of protein with each meal – which can come from nuts and seeds, fish, whole eggs, poultry, grass-fed beef, lamb or bison or non-GMO soy or some protein powders or even whole grains and beans. In the program, I suggest that meat should be a condiment (“condi-meat”) or side dish. I personally consume most of my protein from nuts and seeds, small fish, and whole eggs. However, the issue of the health effects of meat are in hot debate. Some say meat kills. Some say it is a health food. I have discussed this and reviewed the research in great length in my book and in a recent article. And I encourage you to dig into this topic. The hard truth is that over the past century as heart disease, obesity and type 2 diabetes skyrocketed, our per capita consumption of red meat and butter (i.e. real foods) plummeted and vegetable oils, sugar, grains and flour consumption (processed foods) have dramatically increased. According to the US Department of Agriculture records, since 1905, Americans have eaten 11 pounds less meat (from 71 to 60 pounds), pork was down from 62 to 48 pounds, eggs were down from 284 to 243 a year and butter consumption dropped by 15 percent. If we look at the USDA data just since 1950, it looks a bit different. Since the 1950s, Americans have consumed 45 percent more grains, 39 percent more sweeteners and more meat (about 57 percent more mostly from poultry, not red meat). But we have consumed 15 percent less dairy. And our eggs consumption went from 374 to 250 eggs per person, per year. We have also consumed drastically more processed vegetable oils, going from 9.8 to 35.2 pounds per person per year, and we reduced our butter consumption from 9 to 4.6 pounds per person per year, and tallow and lard from 10.5 to 6.0 pounds per person, per year. So we are eating less butter, dairy (saturated fat) eggs (cholesterol), more meat but mostly from poultry, more refined vegetable oils, more sugar and more grains. And most of us are sicker than before. Clearly it’s a mixed picture, but not one that indicts red meat and saturated fats. Check the records yourself to see in the links to the USDA data! Back to meat. The meat eaters, who participated in most of the studies that showed harm from eating meat, were also noted to be consuming a ton of sugar, and almost no fruits and veggies. They also drank and smoked more, didn’t exercise, didn’t take vitamins, and were more obese. It’s not surprising that they would have more disease. But research shows that those who eat meat in the context of a healthy, whole-foods diet show their risk of death is actually cut in half. A recent World Health Organization report on meat and cancer concluded that processed meat (such as deli meats, hot dogs, cured meats, etc., but NOT unprocessed red meat) increases the risk of cancer. This appears to be a real risk. But the devil is in the details and the risk is small. If you have a 50-gram portion of processed meat a day, that increases your lifetime risk of getting colon cancer from 5 percent to 6 percent (or an 18 percent increase). Is that risk enough for you to avoid an occasional piece of bacon? That’s up to you. What matters is the overall dietary pattern. Is consuming large amounts of factory farmed or processed meat good for the environment or your health? No. Is grass-fed meat bad (which contains higher amounts of omega 3 fats and more nutrients)? No. Some suggest that restorative grazing of animals can actually restore grasslands, sequester carbon from the environment and reduce overall greenhouse gases, reversing desertification while providing a healthy source of food to the population. Think of meat as a condiment or side dish, not the main dish. It can be a real struggle for people who want to eat healthy to decide which direction to turn. In the end, your body is the best doctor in the room and can help you determine the best diet fit. Just yesterday, I met a woman who recently had a second heart attack. She was overweight and a Type 2 diabetic on high doses of insulin. After her first heart attack she was very motivated to make changes and decided to pursue an extremely low-fat vegan diet without nuts, seeds, avocados or oils of any kind. She then had a second heart attack. The low fat, high carb diet (even whole grains and beans) made it hard for her to control her blood sugar. She was afraid to take more insulin because she has found that insulin made her gain more weight. High levels of insulin frequently lead to weight gain which increases the risk for heart disease, yet elevated blood sugars increase the risk of heart attack. She was stuck and struggled to get her blood sugar into a reasonable range. I suggested she try low-carbohydrate, higher fat, whole-foods diet rich in non-starchy vegetables which has been shown to reverse type 2 diabetes. I have seen countless patients over decades use this approach, not only for weight loss, but also to improve their or reverse their Type 2 diabetes, normalize their blood sugar levels, and in many cases, dramatically decrease or completely discontinue their insulin. All of these things also decrease the risk of heart disease. It’s very clear that a low-fat, whole-foods, low-sugar, plant-based diet works when compared to a processed, high-sugar, and high-carb diet to reduce the risk of heart disease. However, we need studies that compare this diet to a higher-fat, whole-foods, mostly plant-based diet containing nuts, seeds, olive and coconut oil, and some healthy grass-fed, antibiotic-, hormone- and pesticide-free animal protein. Focus on eating a very low-glycemic diet (low sugar, no refined carbs, little to no starchy foods). This can be done on a vegan or paleo diet, but it’s harder on a vegan diet. Focus on more protein and fats. Nuts (not peanuts), seeds (flax, chia, hemp, sesame, pumpkin), avocados, sardines, coconut oil, extra virgin olive oil. Eat the right fats. Stay away from most vegetable oils such as canola, sunflower, corn, and especially soybean oil, which now comprises about 10 percent of our calories because it’s an additive in many packaged and processed foods. Focus instead on omega-3 fats, extra virgin olive oil, nuts, coconut, avocados and yes, even saturated fat from grass-fed or sustainably raised animals. Eat mostly plants; lots of low-glycemic vegetables and fruits. This should be 75 percent of your diet and your plate. I usually make 2 to 3 vegetable dishes per meal. Focus on nuts and seeds. They are full of protein, minerals and good fats and they lower the risk of heart disease and diabetes. Avoid dairy. It’s mainly for growing calves into cows, not for humans. Try goat or sheep products and only as a treat or occasionally. Always source organic and grass-fed. Pastured butter, ghee or clarified butter can be part of a healthy diet, as well. Avoid gluten. Most is FrankenWheat. Look for heirloom wheat (Einkorn); if you are not gluten sensitive, then consider it an occasional treat. It has been linked to weight gain independent of calories. Eat gluten-free whole grains sparingly. They still raise blood sugar and can trigger inflammation. Eat beans sparingly. Lentils are best. Stay away from big starchy beans. Think of sugar as an occasional treat in all its various forms (i.e., use occasionally and sparingly). Avoid processed foods. This includes anything with artificial ingredients, artificial sweeteners, MSG, chemicals, dyes, additives. A good bet is to follow Michael Pollan’s advice. If it was grown on a plant eat it, if it was made in a plant (factory), leave it. An avocado doesn’t have an ingredient list, an egg doesn’t have a nutrition facts label and an almond doesn’t have a bar code. Eat food, not food like substances. There are significant genetic differences in how people handle fats and carbs, and there may be some who do better on lower-fat diets, while others do better on higher-fat diets; however, all do better on a whole-foods diet that is the opposite of the Standard American Diet, the worst diet on the planet, which we are now, sadly, exporting to every country in the world. We continue to need more research, and more clarification, but at the end of the day the message is very simple. Eat real food. Eat good fats. Eat very little sugar and refined carbs (if any). Avoid processed foods and refined vegetable oils. In short, eat real, whole-foods for real, whole health.